Don't you love that lil grin? He could hardly contain himself! He wanted to buy a yard of bubble gum. 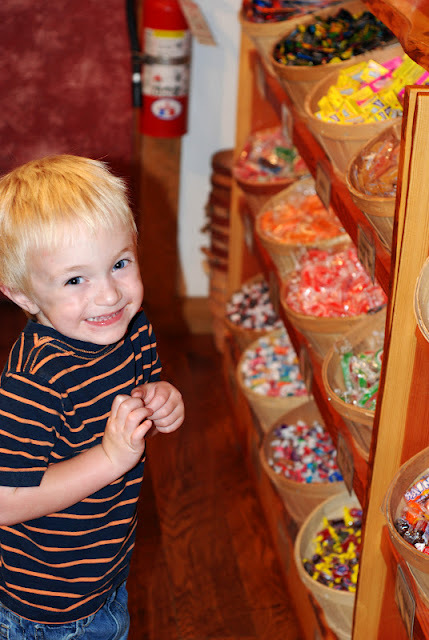 Luckily we talked him into some tootsie rolls and saltwater taffy. 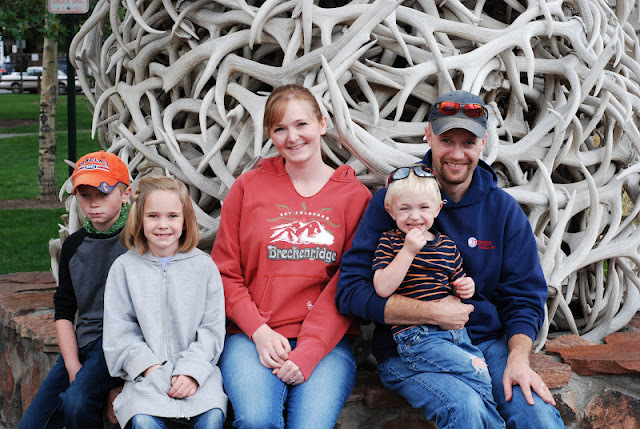 Doesn't every family who goes to Jackson Hole have the traditional photo by the antler arches? Cole was SO happy to have another picture taken. 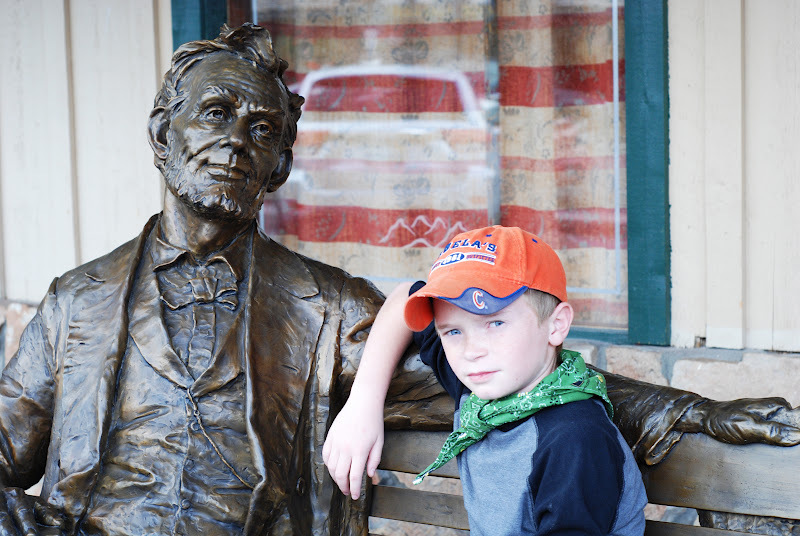 He did, however, let me take a "cool" photo of him posing with Abraham Lincoln. 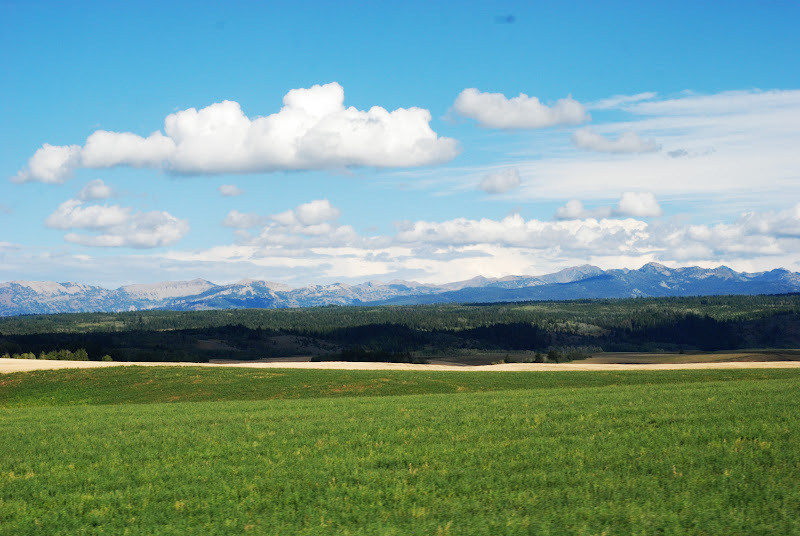 I don't know if you've ever had the chance to drive to Jackson Hole but the drive is gorgeous. Here's one of the photos I snapped while we were driving home. if they would lay in river long enough for us to get pictures. They did it! They FROZE but they did it. That water was SO SO cold! After a great weekend we've been cleaning, doing laundry, and getting ready for school to start tomorrow....the big day will finally be here tomorrow. They. can. not. wait. (I, however, will be a puddle of tears watching them get on the bus). Until next time...I'll have some of these photos scrapped and have some back to school photos to share.